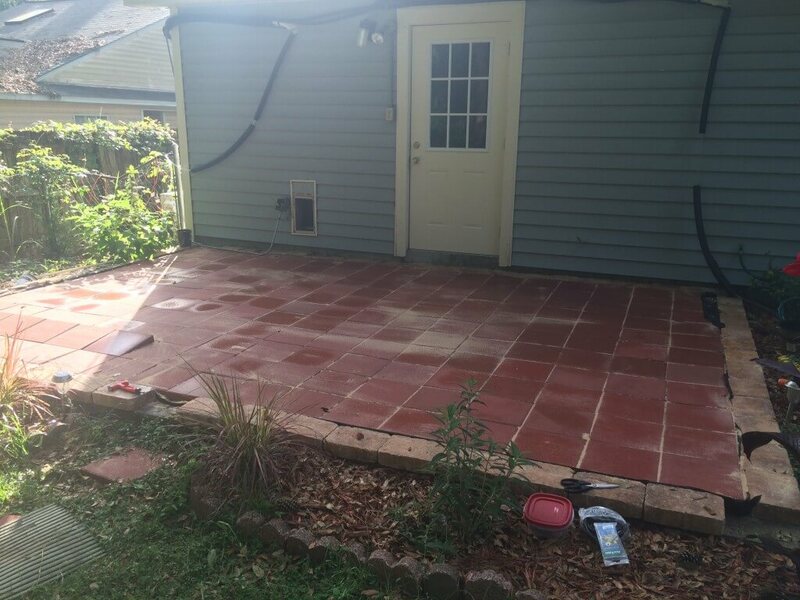 Ten days ago I wrote about my plans and progress in giving my backyard patio a facelift, Patio Upgrade Part 1, so today I wanted to show where we are at. Since last time I have been swamped in work (Mini Split Installation) and have scarcely even thought about the patio, much less done any work on it. 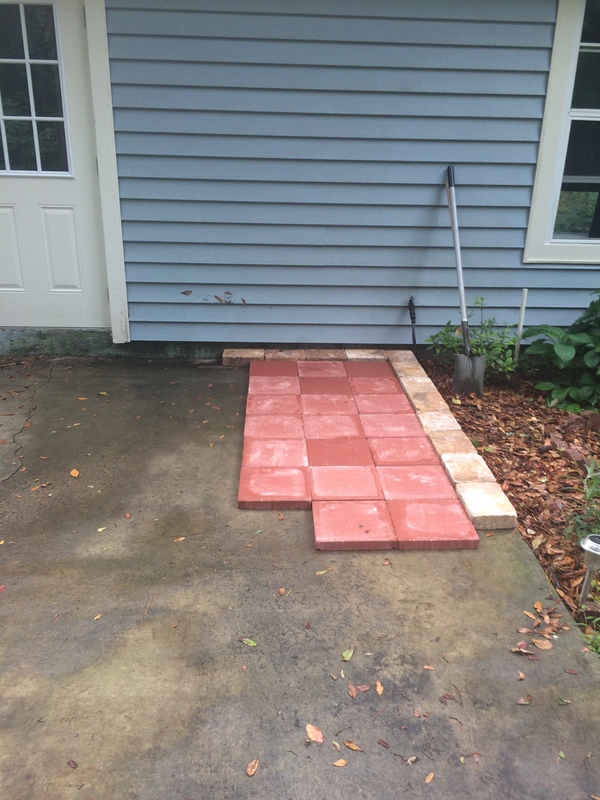 When this picture was taken I had purchased a few bags of sand and perhaps two dozen red pavers and matching border blocks. It was just enough to do a small scale mock-up to make sure that everything would work out. One fact of life that we were not able to avoid was that scaling up is never as easy as you hope. 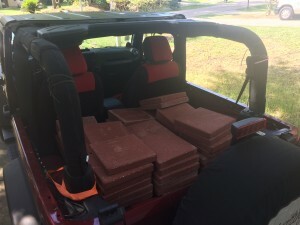 To give an idea of the difficulty in moving so much material, especially the pavers, take a look at the last load that my jeep carried. This was 90 pavers of the nearly 200 needed for the job. I have imagine that the car was not thrilled to be loaded down with >1500 lbs of rock, but at least I only live 2 miles from Lowe’s and HomeDepot. Big shout out to Taylor for all his help with moving, lifting and expediting everything today. Because of him and the few hours of labor we each put in today, we have this to show. The sand is still working it’s way into the joints and there are a few pavers that need trimming; but other than that, the patio is beautiful. For a point of reference, here was the original. 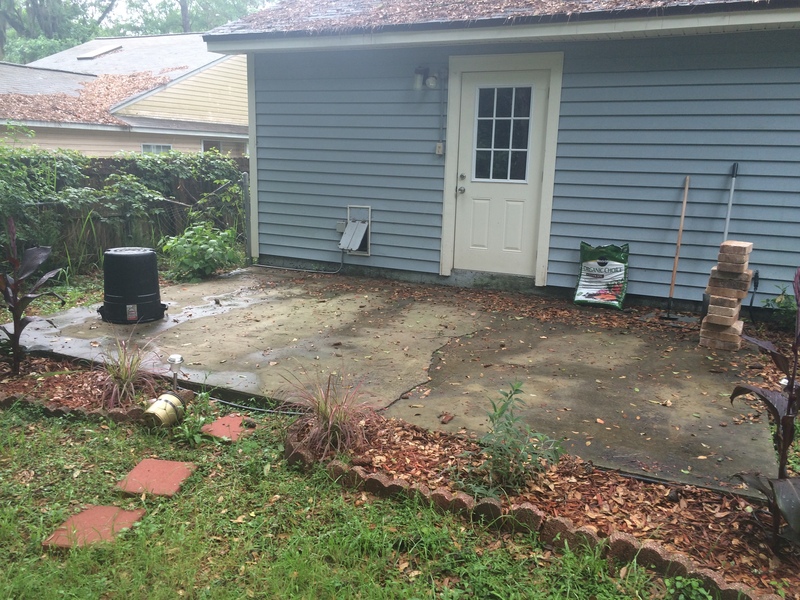 Let me know what you think of the change, or any other ideas for backyard upgrades, in the comments or on facebook.